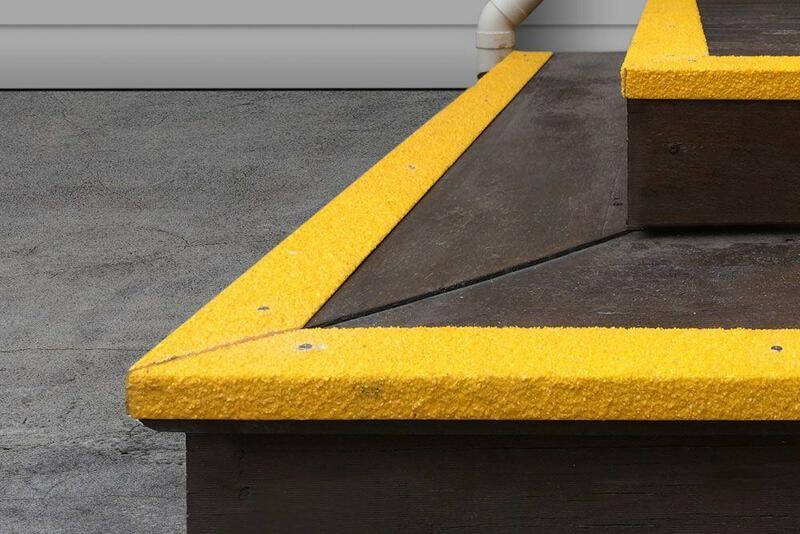 FRP Anti Slip stair nosing is pre-finished, ready to install safety products designed to prevent slip accidents in the most harsh and extreme conditions. 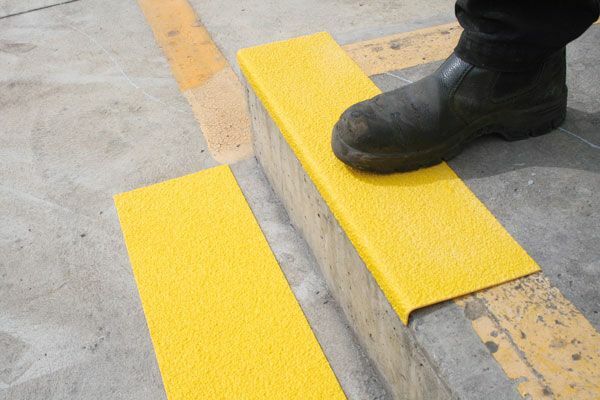 Manufactured from a composite fibreglass they are easily fitted over existing steps to create the toughest and most durable safety solution available. 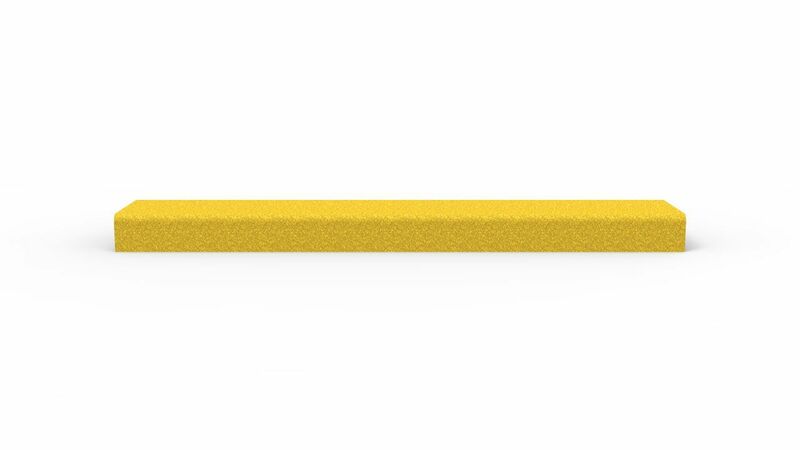 Produced in a one-step manufacturing process where a colour pigmented, fire retardant resin is interspersed with layers of immensely strong interwoven glass fibre. A diamond hard fused alumina anti-slip grain is forced under pressure into the base mix while it is still wet. A final resin layer laid over the top completes the entire composite mix before being oven cured until fully set. 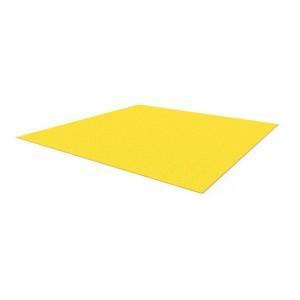 Fiberglass Composite with untegrated anti-slip grit in Yellow. 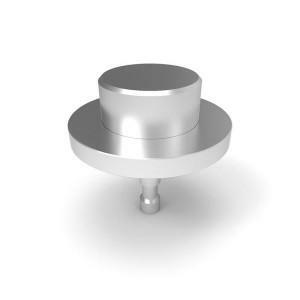 Mechanically fixed or adhered installation. No steel or corrode or delaminate. Available in a wide range of sizes that can be cut to desired length. 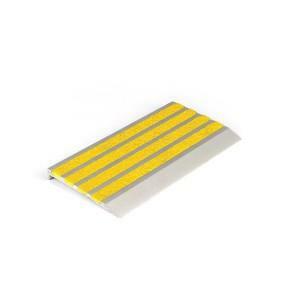 Description: Industrial grade anti slip stair nosing. 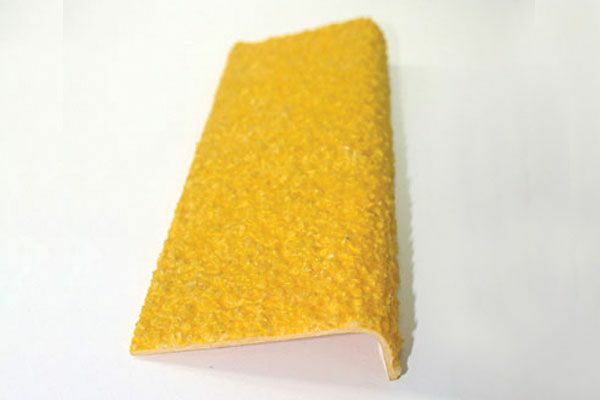 Material: Fibreglass composite with integrated anti-slip grit. Installation: Mechanically fixed or adhered.